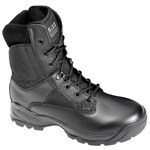 Engineered to provide outstanding performance, enhanced mobility, and a clean, professional appearance, 5.11 Tactical police boots are the patrol officer’s best friend. 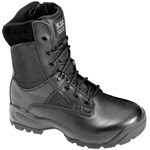 5.11 Tactical's patrol boots feature durable construction for rugged environments, enhanced arch support for all day comfort, and a high-shine toe that meets any departmental standards. 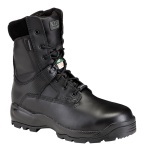 All 5.11 Tactical police patrol boots incorporate our proprietary Shock Mitigation System to minimize the risk of injury and provide additional agility in high stress situations. 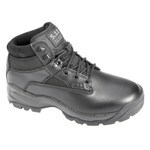 Available in a wide range of sizes and styles, and offered in both 6” and 8” variants, 5.11 Tactical leather police boots set the standard for law enforcement footwear nationwide.